In class, leadership seems all so simple. It is in black and white. There are diagrams. One chapter seems to lead logically to another. Like any new practical skill, the theory is not the same as practice. Is leadership a science or is it an art? Excluding the “mystic” part, I have come to realize that it is a bit of both science and art. I have been studying leadership since I was 18. It was MS 101, an introduction to military science. My first professional career military preparation class as an Army cadet. As I mentioned in an earlier article, one of the difficulties is the use of the word “leadership”. It is commonly used, but the context changes as it is used as a noun, verb, adverb, or adjective. The definition has to be inferred through context. That makes every article you read confusing and, at times, a seeming contradiction to other articles. My own experience from the numerous classes, beginning with the first class, is that the instructor will emphasize every aspect of leadership on an equal basis. From an academic point of view it was because you had to be tested. The equivalency of everything made prioritizing action based on theory confusing. The history and theories are interesting, but hard to apply on a daily basis. Over the years and other classes, I was always surprised to see that there was rarely an overlap from one leadership course to another. It was confusing because how was it possible for leadership traits and leadership principles to morph from year to year, source to source. The instructors taught from within their narrowed vision of experience or shared the latest article on “The 10 Secrets of Leadership” which also changed from author to author. How do you know what to apply? Can you predict leadership success or failure? My epiphany came in that I realized that there were no first principles, no key foundation on which the theory of leadership was based. I am a science buff. Nerd, if you will. I understand the concepts, but probably not the math. If you need someone to sing the “Periodic Table Song”, I’m not your guy. If you read about scientific theories and laws, you learn that there are first principles of the physical world. Aristotle would call them “the first basis from which a thing is known”. In science the word “theory” is not the same as the common usage as an opinion or conjecture. It is a hypothesis that has been supported by evidence, usually from a variety of sources, which best represents the world model as we understand it. I say “best represent” because as science improves (better, more accurate measurements and more data), a theory will become more refined. It isn’t often, but possible, that the underlying premises of theory are disproven. The aspects of theory become, over time, more clarified and better understood. Let me give an example of clarified knowledge. If I say the color “green”, you know what I mean, roughly. If I say “pure green”, you’d probably narrow the color toward the middle and away from a dark green or a light green. A better approximation, but not yet clearly specific. If I take “pure green” and measure it, then told you the wavelength was 555 nanometers, we have precision. If I take that a step further and codify it as RAL 6037, you could reproduce the color on demand. Science is like that. An observation leads to a question: why is light different colors? The question leads to light wave theory to measuring light frequencies that leads to fiber optics to your home so you can watch Netflix. 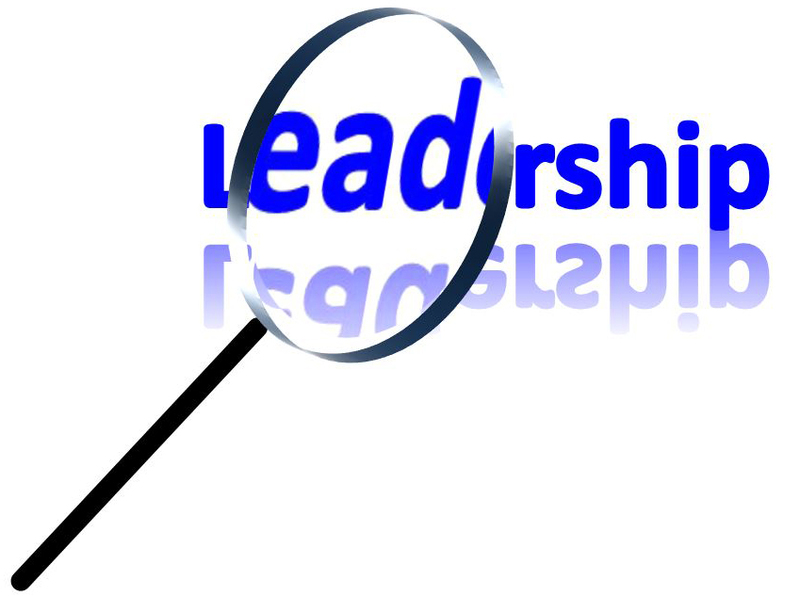 Leadership is complex and its definitions are imprecise. Just realizing that the confusion exists helps to frame the discussion of leadership in a helpful way. I want to give that framework of discussion by dividing the study of leadership into practical areas that lead to daily, functional skills. The areas are necessarily broad, but I want my predictors to be similar to science principles in that they are applicable in three ways: valid at every level of leadership, valid in any type of organization, and predictive of success or failure. It is from these predictors that functional leadership skills and traits are derived. As I outline my thoughts on leadership, it is the skills and traits that are the tools for success in each category. Drivers. Understanding psychological and social drivers are necessary to comprehending individual and group dynamics and motivation. These include individual and social biases and their influences on thought and group dynamics. Culture. The health of the organizational culture is the difference between people supporting the group or working for a paycheck or hating the thought of coming to work each day. Is the work situation positive or toxic? There is a difference between challenging work and a toxic environment. Critical thought. There is a lot of leadership literature regarding decision making and decision cycles. But, what is striking to me is that there is no discussion of a solid foundation in critical thinking skills. The two most basic skills are evaluating evidence (sources and veracity) and accounting for human biases that can affect the quality of a decision. Good information is critical to good decisions. Is your information good or an assumption? Uncertainty. The final area is leadership during periods of uncertainty. There are great articles that cover the theory and skills to build upon. I think many people in leadership positions are afraid to admit that they are uncertain what they should be doing out of fear or insecurity. It doesn’t fit into their concept of leadership because they don’t know that being uncertain is acceptable, normal. My goal is to offer a framework. From the framework, a set of functional skills can be identified and proficiency honed. The framework is the basis for future leadership development and mentoring. My intention is to go into more detail in future articles, but for now I hope to give a clarity of focus as you view the subject of “leadership” in its entirety. The difference between leadership and management is that leaders must manage more than resources. They must use the framework to model a resilience in their organization by developing a healthy culture that values critical thinking and understands the emotional and motivational factors that support individual and group successes. Finally, during critical periods, the leader should be able to anticipate uncertainty and ease the effect it has on everyone else. A final point that is important. I mention the word “predictors” not “guarantors”. Physics principles cannot accurately predict the behavior of an individual particle. Physics can calculate the probability that something will happen. A prediction in the amount of rainfall in a day is usually expressed as a percentage; the amount of rain is an average. I am suggesting that the four areas do not guarantee individual success or failure. Their presence can only increase the likelihood of accumulative successes that lead to overall success as time passes. To ignore the four areas, however, is to take the chance of getting soaked.